Have you ever wondered, while enjoying the clever banter and warm rapport of Kotaku Splitscreen, what it might be like to see said banter and rapport in real life? On February 7, you’ll be able to find out. 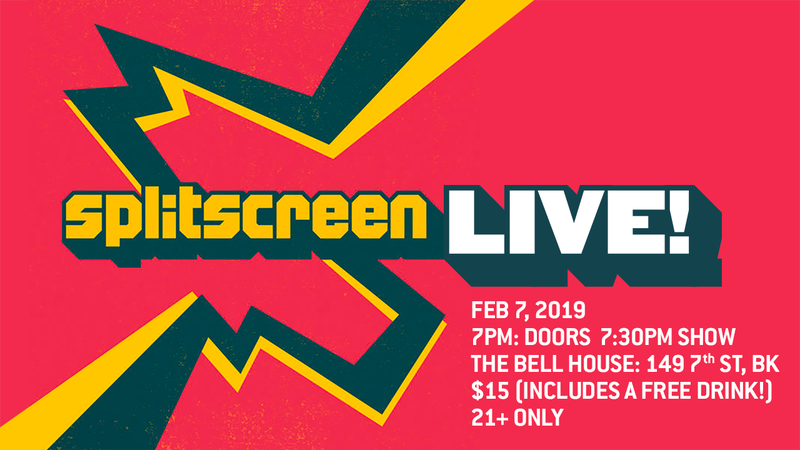 Kirk Hamilton, Maddy Myers, and I will be hanging out at The Bell House in Brooklyn, New York on Thursday, February 7. We’ll record a live episode of the show—complete with audience Q&A and maybe even a musical performance—and then we’ll hang out afterwards for a bit to say hi. Kirk will even sign your trumpets.